He is the King of Kale and his name is Gideon Oji. 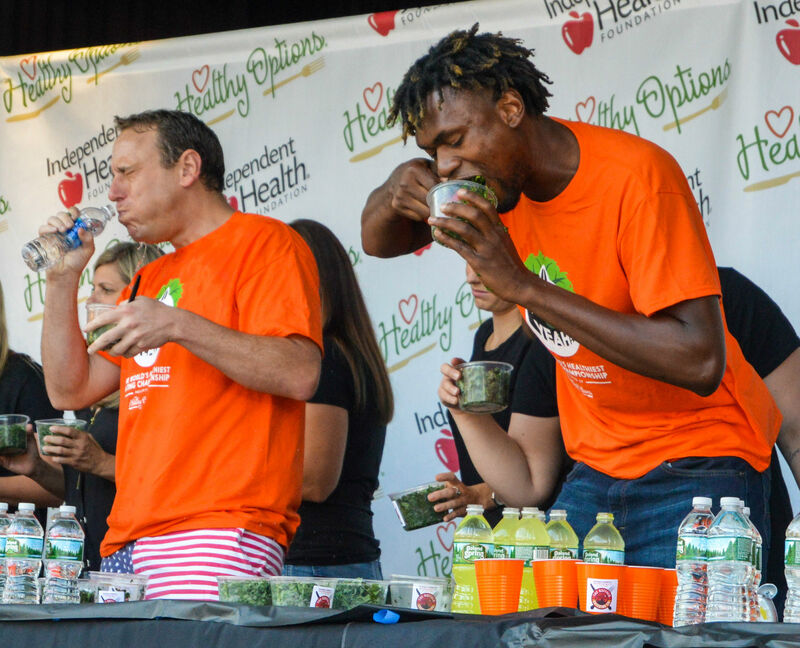 The greatest kale-eater in the history of the world consumed 22.5 16oz kale salads in eight minutes at the 2017 installment of Kale Yeah!—The World's Healthiest Eating Championship. 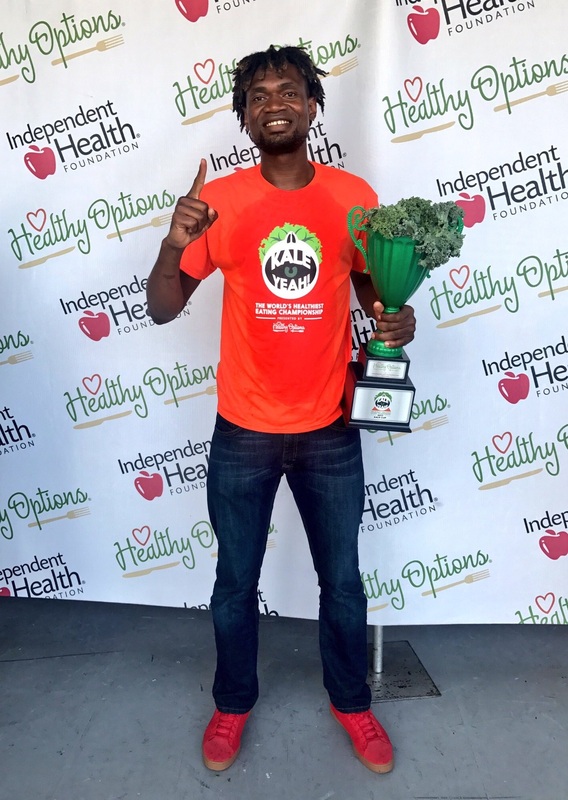 In doing so, he defended his kale crown—Oji won the inaugural event in 2016, setting a World Record of 25.5 servings—and stared down an elite field of top MLE talent. Oji downed not only a fiercesome amount of kale but also names such as Chestnut, Cincotti and Esper in the process. Oji is emerging as a new type of eater and one we have not seen in the entire history of our sport: A leafy greens specialist. He is undefeated at the event against more highly ranked opposition. What is it about Oji that makes him so dominant in kale? And how can his clear edge in this discipline translate to others? Who can say? What we do know, and this is a total cop out but it's true: The guy's got it. We just don't know what it is. Maybe one day we will. For now, we will call it magic. Others ate less. Full results below.